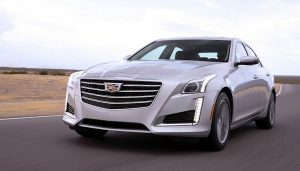 GM’s flagship brand Cadillac is once again a serious competitor in the full-size luxury sedan class. Upscale imports which have owned the market, including the Mercedes-Benz S-class, Audi A8, and BMW 7 series, are in for a shock. 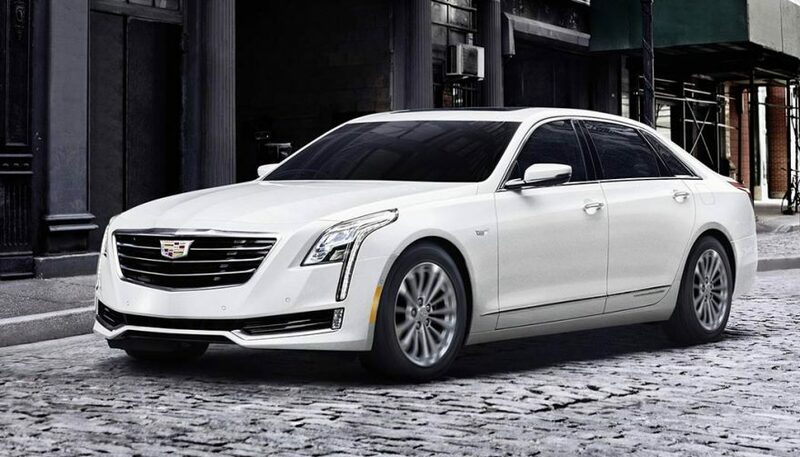 With distinctive, sophisticated styling and impeccable, high end interiors, not to mention advanced technology and uncommon spaciousness, the 2018 Cadillac CT6 reeks of power and prestige. And it’s priced like a luxury mid-size sedan. If luxury and exclusivity are your hot buttons, the 2018 Cadillac CT6 offers plenty of them to push. The CT6 comes in three trims, all loaded with convenience and technology. Given the comparable low sales price, let’s focus on the top-end Platinum to get a feel for the full CT6 experience. The Platinum is both imposing and impressive depending on your point of view. If you are on the outside looking in, it’s imposing. If you are nestled in the premium leather, eight-way adjustable, massaging driver’s seat, it’s exceptionally impressive. Nobody is not going to notice this vehicle. A powerful stance, longish hood that blends seamlessly into a curved profile, and a short, sporty read deck dominate the exterior design. There is nothing superfluous about the exterior. There are no bends or molding or other adornments that have been tacked on just to make it unique looking. When you have a perfect design, you don’t mess with it. Okay there is one way you can mess with it. Cadillac offers 11 exterior colors to choose from, including a startling Red Horizon Tintcoat. Under the hood lives a 3.0-liter twin turbo V6 that pumps out 404 horsepower to a nine-speed automatic transmission. Quick, smooth upshifts give the impression of uninterrupted power and drive the CT6 Platinum from zero to 60 in 5.2 seconds. That puts the Platinum at the top of the luxury full-size sedan class. This ride looks powerful and it is. It’s impressive to look at and it’s impressive to drive. But when you slide into the interior you have entered a luxurious environment you won’t want to leave anytime soon. Your first impression is it’s big, and it is. The interior is covered with high end materials everywhere you look and touch. Cadillac has outdone itself with meticulous attention given to craftsmanship and fit. The center of the dash is dominated by a 10.2-inch touchscreen featuring large, easy to understand icons. Other controls are within reach and self-explanatory. If the number of controls puts you off don’t worry. 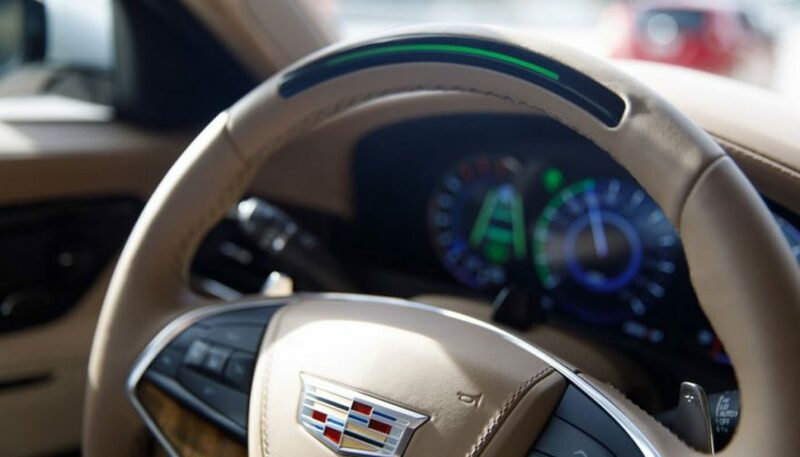 If you let it, the CT6 will operate most of them automatically, including the quad zone climate control. Everybody, including all passengers, are going to notice and appreciate the fine leather seating. First off, the seats have plenty of room. Secondly, drivers and passengers will look forward to long road trips given the ventilated seats with a massage feature. An extensive list of features and safety technology are what you would expect in a luxury sedan. 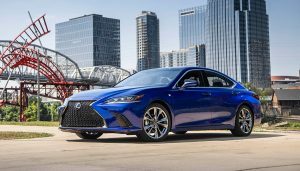 Highlights include an available 38 speaker Bose Panaray audio system, streaming-video rearview mirror, parking sensors front and rear, and Apple CarPlay. Connection features include four USB charge ports, three USB audio ports and wireless charging. Standard safety and driver assist features include adaptive cruise control, forward collision mitigation, lane departure intervention, blind-spot monitoring, rear cross-traffic alert and a really cool night vision system. 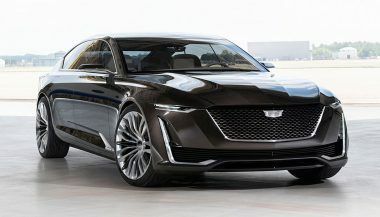 If you are ready to leap into semi-autonomous driving, then Cadillac’s Super Cruise is a feature you are going to love. Available only on the Cadillac CT6 Platinum trim, Super Cruise is similar to Tesla’s Auto Pilot. Both manufacturers make clear that their systems are not substitutes for alert, attentive drivers, but the methods of monitoring the driver have subtle differences. 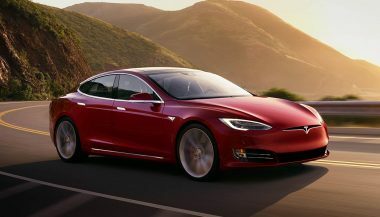 Tesla is like having Good Time Charlie from the local Comedy Shop watching you, while Cadillac has opted for stern, old Mr. Edwards who teaches driver ed at the local high school. Super Cruise requires specific conditions before the system can be activated. Those conditions are driving on divided, limited-access highways, with defined on and off-ramps. You have to be square in the middle of the road to turn on the feature before it can be activated. Basically we are talking interstates, which are part of the typical commuter ride to and from the suburbs. You also need to be awake and looking forward. How does the Cadillac CT6 know if you are? There is a camera in the top curve of the steering wheel that monitors your face for movement while the system is on. Big brother, anyone? When all conditions are met, a green light appears on the dash and simply pushing a button on the steering wheel activates the system. The system will take over steering, braking and maintaining spacing up to speeds of 85 MPH. Pressing the button or tapping the brake turns the system off. It will also deactivate if the environment or your behavior changes. Super Cruise integrates a number of driver assist programs. It uses a combination of cameras, radar and LiDAR mapping data to pull off this almost autonomous experience. It is one of the most advanced systems available today, but still requires active driver participation to operate the vehicle. 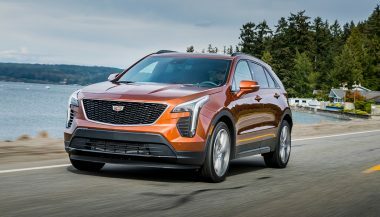 However if you are like most Americans, hesitant to trust handing over control to software, Cadillac’s solution is a nice introduction to hands-free driving. The 2018 Cadillac CT6 is a superb automobile. With it’s exceptional price point, it is a vehicle that deserves careful consideration by anyone in the market for a luxury full-size sedan. Though most of us won't be able to afford them, we can still gawk at the top luxury sedans. Here are our favorites for 2018.